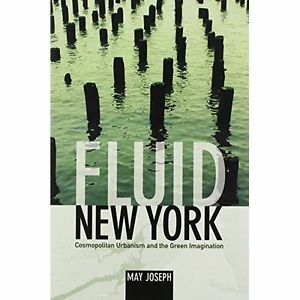 – Using Hurricane Sandy as the backdrop and nominal reason for writing Fluid New York: Cosmopolitan Urbanism and the Green Imagination, May Joseph investigates how vulnerable—and dependent—New York and New Yorkers are to ecology. Although most of us think of “ecology” as rural (forests and jungles, grasslands and plains), Joseph points out that large urban centers like New York, Bangalore, Beijing, and Dar es Salaam also have “ecologies,” which are as close to nature in their own way as small towns and villages in the American Midwest are. As important, she explains that New York is a city of islands, and as such, ecology shapes it and influences its population even as the city and its people work to incorporate ecology into their lives to create what she calls “a livable and sustainable future.” Joseph’s study is broader than its title suggests and is, indeed, global. 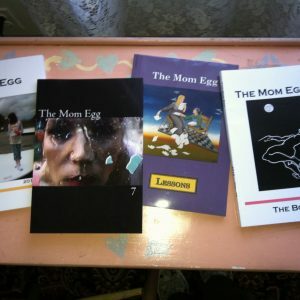 Part historical, part socio-political, but always bordering on what can only be called poetry, Joseph’s narrative is clear and her thesis as revolutionary as it is revelatory. A tour-de-force, Fluid New York should be read and absorbed by anyone interested in how urbanism has recently developed along with ecology and how it continues to evolve within an ecological context. 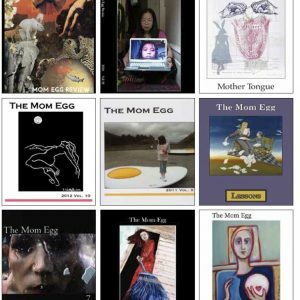 Previous ArticleStill Here Thinking of You: A Second Chance With Our Mothers, Vicki Addesso, Susan Hodara, Joan Potter, Lori Toppel, Eds.